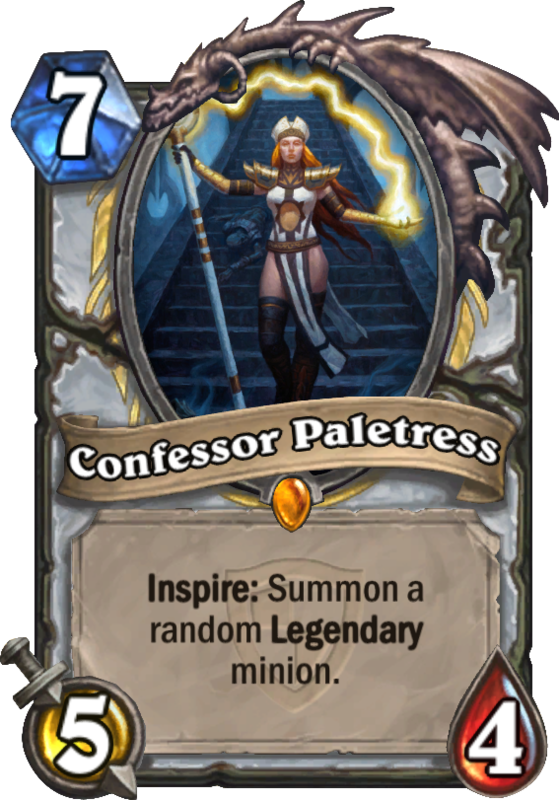 Confessor Paletress is a 7 Mana Cost Legendary Priest Minion card from the The Grand Tournament set! 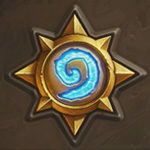 Where is playable? any deck now where she can fit? You can take out Sylvanas or a Cabal Shadow Priest. 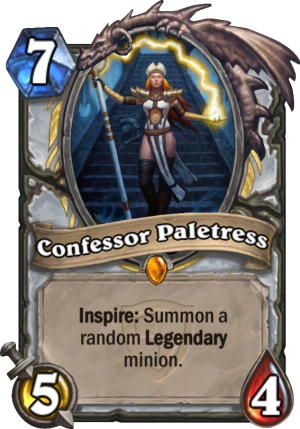 Stats are not good enough and just playing this card for ‘maybe’ a good legendary is a little bit to risky..
Can’t wait to faceless manipulate this on turn 8 and hero power! Like an instant “sneed’s old shredder”. 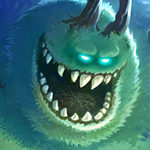 Imagine this dude spawning a sneed’s, spawning a Confessor Paletress…. Sneedception! I disagree. Once the card is down, you opponent is forced to kill it.. leaving the legendary that was crafted by the inspire to attack next turn. Good good card if played round 9 plus.